Forty seven years and six days after we spoke our wedding vows; we were forever parted by death. In the middle of an August afternoon, my husband laid down for a nap and never woke up. He is on the "Blue Side of Heaven" now......as Alan Jackson sings.....telling everyone about me and hugging our loved ones who went before. I am sad and guilty and angry and lost. I did CPR until the paramedics arrived....but none of us could save him. I feel sorry for him as there was still so much more we......he.....wanted to do! I am angry because we hadn't planned on this.....his parents lived well into their 90's......why couldn't he???? I feel lost and clueless; unsettled and without an anchor. I have lots of love and reasons for living.....the greatest being our five grandchildren. He wouldn't have wanted them to have to learn about death so early. And now I have his pictures all over the house and the kids talk about what a great cook he was and I am not! They are worried Santa will leave less presents around the tree since there will be none for Grandpa. They ponder how Santa knows this; does he have a phone number for God? They love having turns sitting in his chair, watching his TV.....and I do too! It's been a rough couple of months. My heart is full and my mind is sad and I want to write it all down. I am alone after so many years with this man....my newspaper man. He was my editor from the day we met working on the college newspaper at Western Michigan University. Now.....here's a disclaimer everyone......this is the first piece I've written since he passed away. He was my editor and cheerleader for almost 50 years....so I don't have his expertise to literally call on in the other room....or email it to him and ask "whadaya think?" I save old letters. I re-give letters. I kept the letter my mother-in-law wrote to my husband on his 40th Birthday telling him about the day of his birth......a snowy January day in Chicago. I gave it to him this year on his 70th Birthday to enjoy again. We kept a copy of the letter my husband wrote to his father the day his Dad turned 96! I just gave that letter to our son last month on his 44th Birthday....five weeks after his dad died. Now I am again saving letters and cards and messages......wondering how I'll ever write again....how to write from my broken heart where once everything flowed through seamlessly. I've woven love and life and family into my writing ever since I was a kid. I bound everything I wrote.... letters, diaries, essays and observations, notebooks from Marriage Encounter and our travel journals.... into two big binders which I labeled Write From The Start for the earlier years.....and Write From the Heart for the rest. After our 10th anniversary...he began climbing the career ladder. The kids and I followed him cross country several times as he welcomed challenges as Editor in Owensboro, KY, Salem, MA, Norristown, PA and even on the island of Aruba. He was a great leader, a great writer and a great storyteller. He was a great friend and mentor. He coached youth soccer and hockey, served our church community and sat on the boards and committees of local businesses and charities in a variety of cities and towns. But most of all....he was ours. Father to our first born...a son conceived Christmas Eve in California and born the 25th of September! Three years later, our daughter was born on a snowy day in January just like her Dad. These two were our world.....the pictures, the home videos, the scrapbooks...all revolve around their baby years, their growing up years; their schools, scouts and sports. Next it was choosing colleges, occupations and then.....spouses. We bought our last home here in Georgia and called it our empty nest! But in the blink of an eye......the nest was soon filled with five precious grandkids! These two amazing adults have been my strength when I was weak, my voice when I couldn't speak as we had to deal with the funeral home, the obituary, setting up services in two states and greeting old friends, neighbors and colleagues. When I couldn't write....they put their own way with words together. My son wrote a beautiful tribute to his Dad which we used for the obituary; my daughter created programs for two different sets of friends, family and former coworkers. Hurting as they were, they also found the strength to tell their children that their beloved Grandpa was gone. He died on a Monday. The older girls started their new school year Tuesday morning.....I made my son promise not to tell them (or get on a flight) until after their first day. He arrived Wednesday morning. My daughter and son-in-law.......both of whom met me at the hospital and took the rest of the week off.......told their three youngsters the next day after school too. My heart was breaking for them, for the kids and for my husband....who cherished each of these kids so very much. A few of the letters I now treasure came from unexpected places. My daughter's childhood friend in Massachusetts for example. Growing up without her own father around......her lovely note detailed the great influence my husband had on her whenever she spent time with our family. My daughter read this letter at both services; reminding parents to "never underestimate the impact you have on the friends of your children. You may think you're coaching their little league, giving rides home after band or making sets for drama. But being there as a role model is influencing not just the type of people your kids become....but their friends as well." Another letter mentioned admiration for his network of long time friends. It seemed every few weeks there'd be contact with someone else he'd met or worked with over the years. And he was a mentor to up and coming journalists as well. He offered these words of advice to my cousin as she headed off for an interview as a newspaper columnist: "always be curious...and always be caring." She got the job! Among all the professional accolades he received from former bosses and colleagues; and the embellished retelling of stories from fellow softball and hockey players...was the recurring respect for him as a guardian of language and as a true team player! Oh what a smile that would bring to his face! Although the kids and I are sad and have our moments when the tears just fall or we have to turn away.....we've realized that all these years he was equipping us for this. He made us strong in so many ways. He was a take charge, larger-than-life-kind of guy......and I leaned on him for so much. He'd lean on me sometimes when he didn't have his cane.....and he'd apologize! I never felt bad for depending on him to give me a wonderful life! Inside my sadness, there is a happy kind of comfort. I am so very glad we traveled as much as we did after retirement. We went to Australia; we took our oldest granddaughter dog sledding in Alaska; we spent months on the beach in southern California with the girls and riding our bikes. 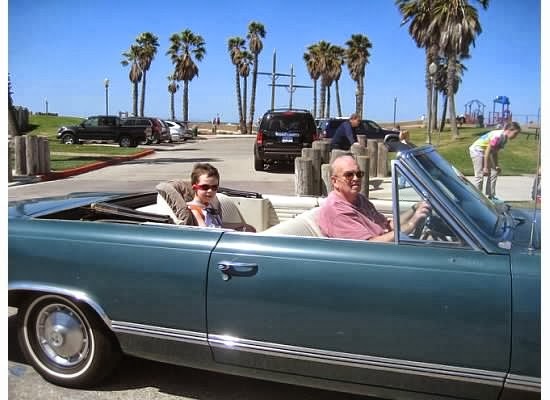 He bought a 57 Oldsmobile Cutlass to keep out there.....and loved driving it every chance he got. We went to spring training in Florida and Arizona for years; we flew business class whenever we could, he bought current best sellers at Costco every Tuesday and he enjoyed 3-4 newspapers every morning! I am glad we pulled off the January birthday surprise with my son flying in overnight and ringing the doorbell at 8 AM......and that the four of us spent so much time reminiscing about their childhood at the most expensive restaurant in town! 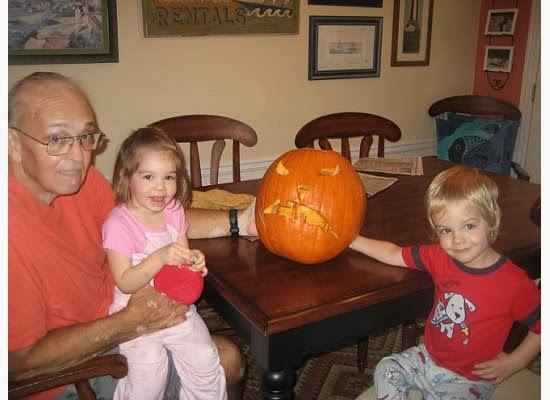 I am glad we wasted days doing nothing, I am glad we spent money and I am glad for his traditions of coloring Easter eggs and carving Jack-o-lanterns with the grandkids! Our love for each other was always evident......he showed me every day how much he loved me with jokes, coffee in bed, signs taped around the house on holidays, making my burgers or tacos just the way I liked them or bringing me a glass of wine after a hard day. He was the love of my life...and I told him again and again with little love notes or whispers in his ear! Because of that love....I will be okay. I can do this, Sweetheart.......but it's going to be hard without you. Thank you so much, Teresa. I am comforted knowing it has touched you this way......."8 13" was something Jim and I said to each other every morning and night whenever we'd notice the time. 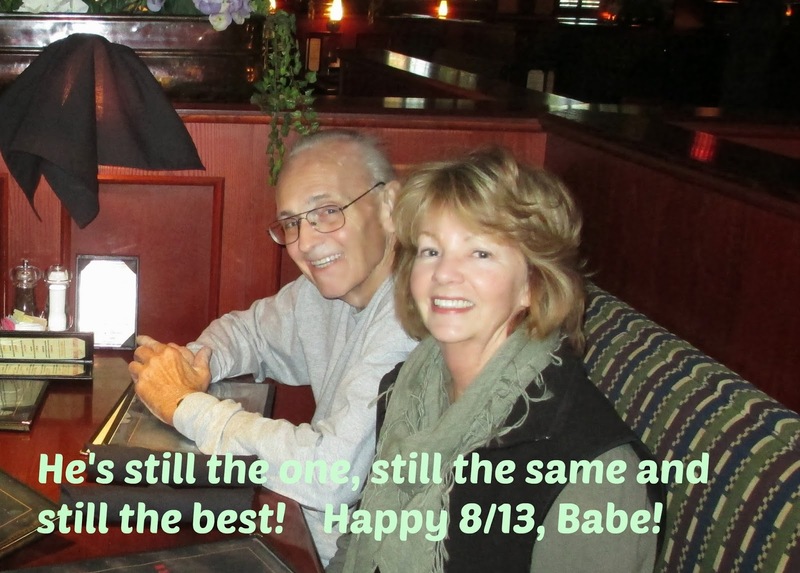 Even the grandkids would announce it to us when they were here! Now I will think of you when I read your daily posts! Thanks for your sweet words; I agree.,......it felt good to get it all down and I will keep writing now I think. Thank you, my friend. It has been hard......I am finding a new normal. Writing is going to help! Love and hugs back at you! I know I have messaged you, and told you I was and am praying...and I am. Now, I just want you to know, that only knowing you online, reading your blog posts, your facebook posts, you have made a huge impact on my real life. 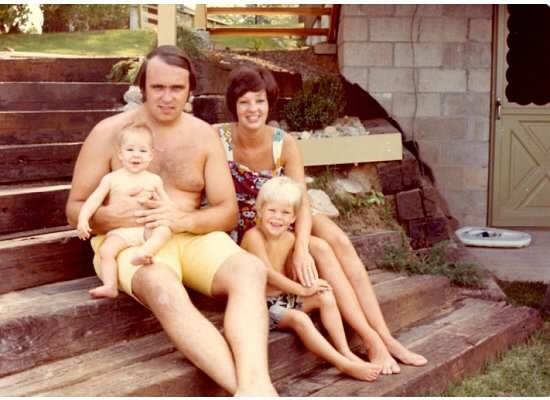 Seeing the way you and your family live your lives, the way you and your husband made grandparenting an art...and when you lost your husband, I took a long hard look at my life. 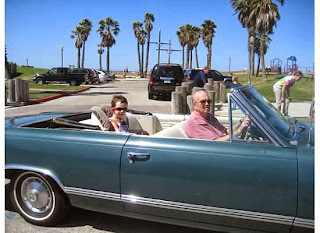 Yes, we are awesome grandparents, BUT, now I don't take it for granted. I am not only making sure we are in their lives, but also in their memories, and hopefully, teaching them how a family should be, so that when they are grown, they will implement the same importance of family time. 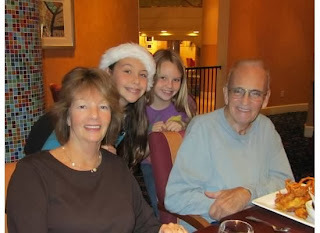 I also look at my Jeff differently now, I don't care if he doesn't want me to take a picture every single time he is doing something with the grandkids, I do it anyway, I don't care if he thinks I am being silly by constantly thanking him for the little things he does, I do it anyway. I will never look at life the same again, which is a good thing. I do hope you keep writing, and teaching others how its supposed to be done, living every minute to its fullest! We thought we had time to grow old together......but it didn't happen that way. You are so right about looking at your husband with new eyes.....lots of love and never take anything for granted. I think our grandkids saw our love and learned from us about being old.....in their eyes anyway! Thank you for always sending heartfelt words and comforting me with your comments. Writing again does help......but I am learning this new way of life one day and one step at a time. Only someone whose life has been filled with loving and feeling loved can feel all you are feeling now, and only someone with a great talent could write so beautifully about those feelings. Once again, I can only offer sympathy, and admiration. Thank you for such sweet, comforting words, Bob. It felt good to finally be able to get it written down. There's so much more I want to share.......but the overwhelming threads and thoughts are hard to gather into one piece sometimes. Writing is going to help.......I know he is giving me the push and the go ahead to stick to it! Thank you for taking the time to read....and respond! I admire all that YOU write, Bob.....and want to leave the same kind of memoirs for my grandkids when I get past this. You have a knack for saying things the perfect way and I love that! You have already started to write and you can't stop. You have so many adventures with those grandchildren that you will need to share and who will happen ease the pain. I do think writing it down helps to make it hurt just a little bit less plus you have so much to tell those grands about Jim, just the little stuff will mean so much to them. Hang in there! Yes....as Bob does so well; I'm going to start writing about Jim......for our grandkids to always remember the kind of man he was and cherish the stories and adventures they shared with him! Writing does ease the pain and comforts me. Thanks for your sweet words and your email about Olga! I will stay in touch with her for sure! Thanks for these words of wisdom, Olga. I definitely have lots of wonderful memories!!! And remembering to breathe......just sit and breathe......and remember......and smile. So sad that we had to meet under these circumstances....but paths cross for a reason; you are supposed to help lift me; and perhaps I you. What beautiful words and compliments, Debra.....I am so appreciative of your heartfelt thoughts here. I love finding your new blog...Frugal Little Bungalow! 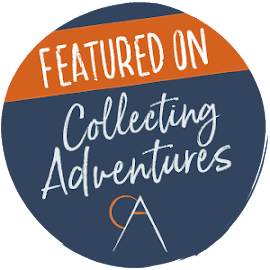 I am a big follower of Homespun as you know; how wonderful to launch another blog committed to cozy, comfy small spaces! Thanks for checking on me and giving me encouragement! I am so touched by your story of living life to its fullest - and not just "wishing" for it to happen, or "waiting" until there is more time, more money, more energy.....like so many of us do. Like you, I sit here and wonder why it had to end so soon for both of you - all of you. My best comfort comes from St. Therese, the Little Flower. "The world is your ship. It is not your home." Your husband was a dear man. "Welcome home, good and faithful servant!" We went ahead and did when the spirit moved us; taking time and money and energy into account.....but did it anyway....and how glad I am that we did as much as we did! Your comforting words mean a lot, Joyce. Thank you for caring....and for your Blessings from St Therese. I have shared her words many times in Sunday school.....not realizing how comforting they would become to me someday. Dear Joan, I am so sorry for your loss and I am glad you are able to start writing about your life again. As I hurt for you you during this time I also am uplifted reading about how wonderful and fulfilling your life with him was because not all of us have that to hold on to. I am so glad you do. I look forward to reading more of your stories about this wonderful person you shared your life with. A beautiful post. Your husband sounds like quite a man. Oh he sure was! Miss him every day. Appreciate you reading and responding, Susan. Found your blog through Midlife Boulevard and found this article very touching. I think your editor was by your side because it is so eloquent. I can't imagine losing my husband although I know one day either he or I will have to face that loss. Thanks for the reminder to not put things off too long and to appreciate the little things. Thanks, Kay. I do feel his guidance at times......I think he would be proud of me doing it All on my own (no editor by my side) We never thought we were old or leaving anytime soon......just that zest and desire to go and do and spend! Thank God we did! Visiting your blog from Midlife Boulevard. Such a beautifully written tribute. I had both tears and smiles as I read this. I am so sorry for your loss. Your husband sounds like a wonderful man. Thanks for stopping by, Kathy. Your comments mean a lot when you can sense how wonderful he was! My writing is healing.......readers are affirming! I need to get busy writing again! I'm reading your blog from frozen Canada! I am sorry for your loss.I know your sorrow first hand. 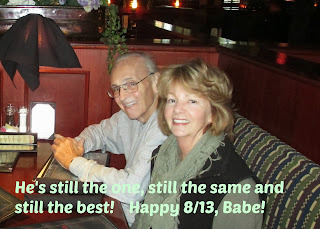 Two years ago I lost my husband,lover,best friend of 58 years.I fell into a deep dark hole and am still having a hard time crawling out. My kids are wonderful,and are there for me always. For this I am so grateful,but they have their own lives and I hesitate to be a burden. We met in my teens and were never separate for more than 2 days.He had all those attributes you speak of in your husband. Like yours,his father lived to be almost 90,so we expected to have many more years.I shouldn't say we expected,because I can't remember that we even thought about death or being without each other. It just didn't occur to us that that could happen to us no matter how sick he was. My problem was that I thought I was in control. I was so used to fixing whatever needed fixing. Like you now, I'm trying to make sense of a world without him. I am getting back to trying to be a useful citizen,but the road is tough and lonely as you know. I will keep you in my prayers and I wish you a good strong future. The world still needs us. Thank you for your beautiful message, Vicki. Yes; we are stronger than we realize and still very much needed. It is so very hard. Writing helps me as do the little grandkids being around. I checked out your blog and notice you have not been active. Too bad as your posts are wonderful. I read about your husband's struggles and his book.....what a grand name for a book.....Ron Was Here! I hope however you found me that you'll consider writing and posting. 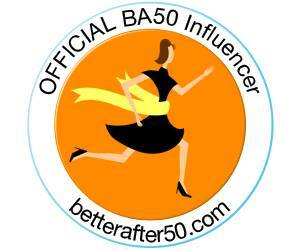 I will turn 70 this year and I believe there needs to be more older writers like us blogging; so many are just turning 50 or are grandmothers but still in their 50's LOL We have so much to share and so much wisdom to spread! Are you on FB? Please stay in touch Vicki! You are someone I'd love to know! I just read this for the first time, Joan. It broke my heart and made me smile all at the same time. You were and are blessed in love for having such a wonderful man to love. I am sorry he left too soon. It must be hard but he would be so proud of all you've done and driving alone to Michigan? Wow.